Our team of trained specialists will be there to assist you in all your needs during each and every visit. From medical care to billing inquiries, our team will ensure that you have a confident and comfortable visit. Howard Jay Gelb, M.D. is a board-certified orthopaedic surgeon specializing in sports medicine and arthroscopic surgery of the knee, shoulder, hip, elbow, wrist and ankle. He has been in private practice in Coral Springs since 1995. He received his undergraduate degree from Cornell University in New York in 1985, graduating top in his class from the College of Agriculture and Life Sciences. Dr. Gelb received his medical degree from the University of Pennsylvania School of Medicine in Philadelphia in 1989. Courtney Jenista, MMS, PA-C was originally born in California. She spent her years growing up playing competitive soccer and moving to various places with a military family. Courtney earned her bachelor degree in Biology with honors at Stetson University. During her time at Stetson, she received a 4-year scholarship to play Division I soccer and went on to compete at a semi-professional level. Her athletic acumen inspired her to become a physician assistant in sports medicine. Upon graduation, she gained experience as a transcriptionist for an orthopedic surgeon. She went on to acquire her Masters of Medical Science at Nova Southeastern University in 2016. Courtney pursued her passion in orthopaedic surgery by completing a 6-week rotation with Dr. Gelb and then went on to accept a full-time position upon graduation. She has been working with Dr. Gelb both in the office and assisting him in the operating room. Dr. Jay Itzkowitz is an impressively credentialed physical therapist − having earned a Doctorate and dual Masters degrees in the areas of sports medicine, athletic training, exercise physiology and manual therapy. Dr. Itzkowitz relocated from New York City in 1998 and began practicing at Health South in East Boca Raton. By 1999, he was promoted to supervisor and opened the West Boca Raton branch for Health South Rehabilitation. In his new role at West Boca, Dr. Itzkowitz was first introduced to Dr. Howard Gelb, providing expert treatment for Dr. Gelb’s patients. After moving from Health South to Pinecrest Rehabilitation (also in West Boca Raton), Dr. Itzkowitz continued to treat Dr. Gelb’s patients and a mutual respect between the two health professionals flourished. A short time thereafter, Dr. Itzkowitz accepted his position with the Gelb Sports Medicine & Orthopaedic Center − and the rest, as they say, is history. Dr. Itzkowitz received his Bachelor of science at Brooklyn College in Sports Medicine and Athletic Training. He received his first Masters degree in Exercise Physiology from Adelphi University in Long Island and his second from Mercy College in Physical Therapy. Dr. Itzkowitz has received his Doctorate of Physical Therapy from St. Augustine University, specializing in Manual Therapy. 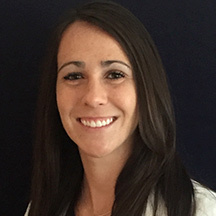 Melissa Aversa graduated from Nova Southeastern University in 2009 with a Bachelors of Science in Athletic Training and again in 2011 with a Doctorate in Physical Therapy. Melissa completed an 8 week internship at Dr. Gelb’s office and upon graduation began working as a full time therapist. Melissa is also a certified Athletic Trainer and a Certified Strength and Conditioning Specialist. Her passion for sports medicine has driven her to pursue her Orthopeadic Clinical Specialist certification through the American Physical Therapy Association. Melissa has co-authored numerous research articles which have been published in various journals including Strength and Conditioning Journal and Journal of Strength and Conditioning Research. Rebecca has been working for Dr. Gelb since March of 2003. She grew up in South Florida and graduated from Keiser College in 2001 and also went to FAU. Prior to working for Dr. Gelb, she worked 2 years in an inpatient rehabilitation hospital. Rebecca has expertise in throwing programs and injury prevention programs of the knee and ankle.